You and your family are driving in from someplace "off," the city or the mountains. Finally you reach the Isle of Palms Connector and you get that first whiff of ocean air. Crossing over the soft marshes, you're reminded of the subtle beauty of the Lowcountry. As you crest that last rise, there it is - the Atlantic Ocean., stretching wide and blue across your radar screen. Still there, and still gorgeous. The ocean has a way of making your heart jump every time you see her. The Isle of Palms is an island of contrasts. Wide stretches of beach that are quiet and tranquil in places, filled with action in others. It's a place for seclusion or a place for mingling, depending on your mood, depending on the season. As you drive down stately Palm Boulevard during the summer, it's like classic shots of Southern California. Lined with palm trees, surfers (and kite surfers). In the off-season, it's a perfect place to find peace and quiet. That's one of the great beauties of the Atlantic, and the Carolina coast. We have seasons. There's an underlying esprit and sense of community, and family. Neighbors visit each other on golf carts. Children play in the streets, in the sand, at the Rec Center. Dogs walk their owners to the beach or the Bark Park. Folks launch their fishing boats from the marina. Wild Dunes makes up the far end of the island, with its impeccable golf courses, hotel and resort facilities. 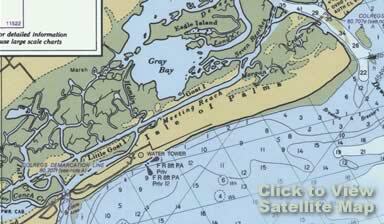 Dewees, Capers and Bull Island are a short boat trip away. There are places to gather, overlooking the water - Breach Inlet, the Intracoastal Waterway or the ocean. Enough shops so you don't have to leave the island if you don't want to. Charleston's a short drive away, and thriving Mount Pleasant is just across the Isle of Palms Connector. Thing is, once you get on the island, it's pretty easy to stay put. It's a nice place to put down some roots and watch the seasons go by in your very own beach home.